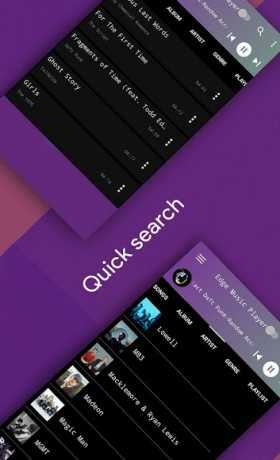 Edgeplayerapp@gmail.com, we will reply you. 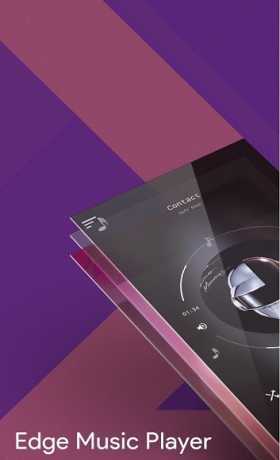 The music player was exclusively designed for galaxy s8 devices at the beginning, with seeing the problem in other devices, the app is made available to all the devices and has been designed in such a way that the music player can be run on any devices hence making playing music very easy in every device. The infinity display in galaxy s8 given you the best look for the music player, Galaxy s7 edge also gives out one nice look for the edge player. 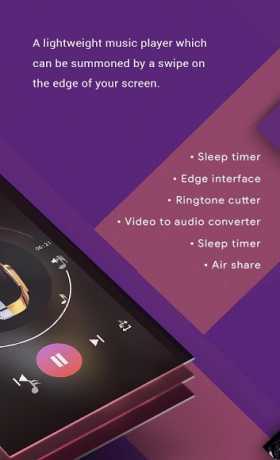 The music player can be used with any devices, Special care has been taken for the Samsung devices to make equalizer accessible so that Galaxy S8 and Galaxy S7 has no problem playing songs. Give all the required permission in Galaxy s8 ,Galaxy s7 and moto devices for the edge player to work properly. Keywords : Galaxy Note 8,Galaxy S8 Edge,Galaxy S7 Edge,Galaxy S6 Edge,Galaxy Note Edge,Lyrics,Lyrics.